Facebook, Twitter, LinkedIn, and other social media sites have become one of the top marketing tools today. Social media marketing has many proven success stories and can help businesses from virtually every industry. Which social media sites are best for your business? There are many different social media sites, but not all of them are ideal to generate leads for your specific business. For example, a hobby or jewelry business may find their success with Pinterest, Instagram, or Etcy, while a medical firm may have better success with LinkedIn, Facebook, or Twitter. Your social media marketing partner should be able to help you launch the right campaign on the right sites. How often should you post? There is a delicate balance in the world of social media. You want to post frequently enough to get your business noticed, but not too frequent to cause readers to “un-follow” you. It is best to start with just one or two posts at the most each day and then carefully monitor activities to determine if this should be adjusted to be more frequent. If you are only posting once a week, that is far too limited for most social media activities. Is it wise to respond to feedback? One of the most crucial methods to succeed in social media is to be as interactive as possible. Respond to all types of feedback in a professional manner, even if it is negative. This will help you gain momentum while increasing your search rankings. Should activity be monitored? Select some key metrics to monitor your social media campaigns. This will help you to test which sites provide the most positive results for your business. Look for click-through rates to your web site, traffic counts, and the number of “likes” or “shares” that occur. All this should tie back to your lead generation metrics and your sales conversion rates. In just a few short years, social media marketing has become a tremendously successful mechanism for small, medium, and large businesses to reach their customers like never before. The interaction and relationship capabilities of social media marketing are unsurpassed. Look online – a firm that is knowledgeable with social media should have a presence in that channel. Use your preferred search engine such as Google, Bing, Yahoo, or another to locate some marketing firms. Then check Facebook, Twitter, or other social media sites to see if they are present. Check their web site – review the firm’s web site and read how they approach their social media projects. This can provide some real insight into how the firm would handle your particular project. 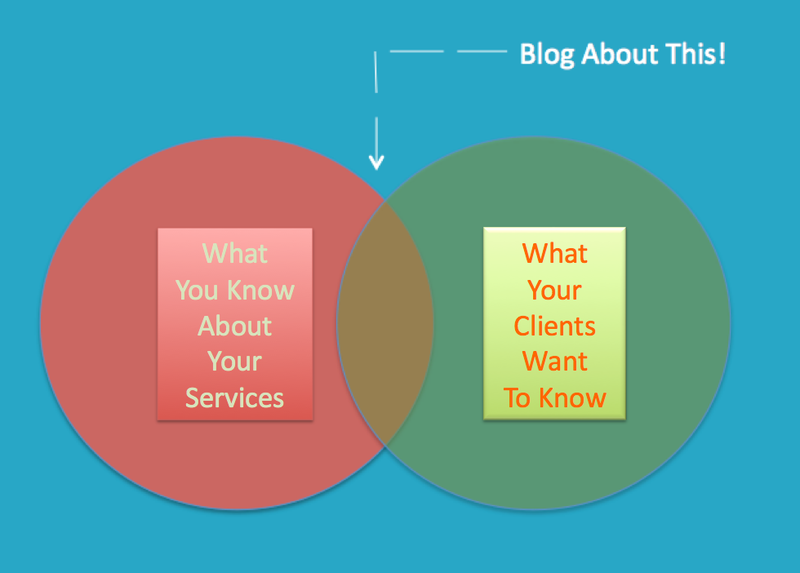 Investigate blogs – the firm should have a blog site available as well. Take a look at the blog posts and read through topics about social media. You will learn more about social media techniques while also learning about the firm. Make contact – call the firm or send an email asking for more information. You should get a response in less than one business day. If you do not get a response in a business day, the firm is probably not interested and is not right for you. Look for a firm that is responsive and is eager to have a dialogue about your needs. Discuss tactics – every social media initiative can be implemented in multiple ways. Talk with the firm about the various methods they would use. There should be at least three different approaches with advantages and disadvantages to discuss. Some tactics could be more costly while others could take longer to implement. Have a healthy discussion about each. Keep focus – above all, the firm should remain focused on your specific business marketing goals. 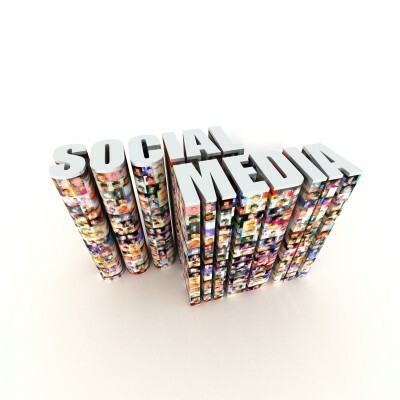 If the firm begins using a canned program for social media, it is time to look elsewhere. Every implementation should be different and structured to meet specific business goals. While it is relatively "easy" to launch a social media marketing campaign, it is important to know how to do it correctly. Almost anyone can create a Facebook page and link it to a business website. But there is much more to social media marketing that creating a page. Using an experienced and knowledgeable social media marketing company can help you to make the most out of your marketing investment. With the right partner you will develop a profile of your target audience and then build a marketing strategy around that group. There should be a clearly defined process that will utilize social media to attract the right audience and then help to convert visitors and "likes" into qualified leads and then into customers. The steps involved to generate social media leads can become very complicated. A lead generation provider with social media expertise can help you to navigate through all of your marketing options to determine the best keywords and phrases, the right content, and when to post blogs, publish E-Books and more. To find the right social media marketing services consider carefully what your business goals are today and long term. Choose a partner that will listen carefully to your goals and craft a social media campaign that will help you to achieve those goals. Your goals should not only involve sales but also your website hits, conversion rates, social media activities and more. Many entrepreneurs and business managers have a hands on approach for running their companies. From closing the deals to bookkeeping and even setting up computers, nothing can stop a business executive from handling opportunities themselves. Social media marketing may be considered as just another task to add to the executive's list of things to do. Some may think that it will save money by implementing social media marketing on their own. Others may want to be intimately involved with the task. There are pros and cons to doing social media marketing yourself. Work at your own pace - by taking on the task yourself it can take longer to accomplish, but you can devote time when it's available. Unfortunately with entrepreneurs there is very little time open for taking on new initiatives. Stay hands on - you may want to respond to every post on Facebook, Twitter or LinkedIn to properly represent the company. This can consume a significant amount of your time. Learn the system - educating yourself through immersion is one way to learn marketing for social media, but you could make costly mistakes that will negatively impact your company. For some this is a risk to avoid. By working with a marketing partner with social media expertise you can retain many of the positive aspects of involvement with social media while mitigating the negative. You can set your own implementation schedule that will work for your business. You can remain as heavily involved as you wish. And you can educate yourself without making costly mistakes. In addition a marketing partner can integrate search engine optimization (SEO) into your social media campaigns to improve lead generation and search rankings. Also an experienced marketing partner can avoid most mistakes that inexperienced businesses can make when using social media. The marketing industry in New York City prides itself on leveraging the latest technologies and innovations to create success for businesses of all types. Social media marketing is one of the more recent approaches that have many marketers scrambling to use this technique. Before committing to one of the more traditional marketing firms for social media marketing, consider the benefits of a company that already has the experience plus technical skills. Align social media to your unique business and marketing plan – all aspects of your marketing strategy should relate to your business goals and objectives. The right firm can make sure every campaign is properly aligned. Use the right social media channels – based on your target audience your marketing company should set up routine updates or posts to Facebook, LinkedIn, Twitter, Pinterest or other social media sites. The important step is to make sure your company is easily found where your target audience is likely to visit. Build online reputation – by using social media your online business will take on its own persona. This persona needs to have a reputation built around your company’s culture and approach to customer service. Your marketing firm should keep all messages and posts in sync with your online business persona. Generate leads and build loyalty – one of the primary goals of using social media is to increase the number of qualified leads that visit your web site and to help in cultivating loyalty for existing customers. Provide consistency – throughout all of your online marketing communications your business should present a consistent message. Email, web site, Ebooks, social media, blogs and other areas should avoid confusing readers by promoting one message in one area, and a different message in another. Your marketing firm should help to maintain consistency everywhere. On the contrary, large corporations can find great benefit in leveraging social media. Companies such as Ford Motor Company, Starbucks, Zappos and others have found that a social media presence can yield measurable benefits even for companies of their size and larger. Reputation management – news can travel instantaneously online, and bad news can travel even faster. One bad customer experience can be broadcast to millions of online visitors, which can destroy a brand or corporate reputation rapidly. By having a social media presence the company can respond to feedback of all types – particularly any negative feedback – and help to quell any issues before they balloon out of control. Expediency – through social media a company can announce new products or promotions in a matter of moments. This rapid cycle can give large companies an advantage over competition. Gauging buy-in – it can be difficult to get consumer feedback using traditional methods. With social media a company can quickly take a poll or just post an informal question and measure how effective a particular ad campaign is performing or how well received a new product might be. The company can even determine what geographical markets or other demographics are more receptive. Personalization – big corporations are often viewed as inaccessible and aloof. With social media there can be more personal interaction with consumers, which will improve the company’s brand identity and reputation. The great advantage of social media marketing is that both large and small companies can benefit in the same way. With the right online strategy your business can succeed no matter the size or strength. For more information please call us directly or click the button below and we will contact you. Thank you. Marketing expenses can get out of control quickly. Managing your marketing budget means determining what tools and strategies will provide the highest return on investment. It is hard to dispute that social media marketing can provide you a substantial ROI without a lot of costs to begin with. Social media marketing firms can provide services to get your social media plans in place and you can start receiving benefits almost immediately. Building your brand – your corporate brand is extremely valuable. 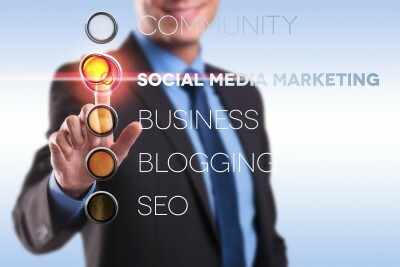 Through the right social media marketing approach your business brand can become more recognizable and helps to establish your online reputation. Connections – through participation in social media sites such as Facebook, Twitter, YouTube, Pinterest and others you can establish a presence in a community of people and businesses with common interests. These connections can become extremely valuable to get referrals and to establish new partnerships. Influence – in the online world, establishing yourself as an authority and creating influencer status for your business can greatly improve your search rankings. As more users utilize your posts, blogs, comments and insights you establish your online credibility and can become an important influencer in social media. Competitive advantage – with the right marketing firm as your partner you can “crack the code” for social media business success. Your competition may have a Facebook page but they may not have the right strategy in place to best use it. The right marketing partner can make all of the difference in turning social media into a competitive advantage. When you are ready to take your business the next level, Seldon Marketing is prepared. For more information please call us directly or click the button below and we will contact you. Thank you. The New York City life is filled with marketing opportunities. Online there is a lot of buzz about how social media marketing can help companies in NYC and other locations to increase their online business. What are some of the most effective techniques to make social media work in your marketing plan? Use links - in your social media posts be sure to leverage links to your web site. This will increase traffic and also allow visitors to learn more about your products or services. Note it is a good idea to use "deep links" into your web site such as a specific blog page, a product page, or a contact page. This gives the visitor the information they are looking for in one click versus multiple clicks - and adds depth to your SEO rankings. Relevant Content - make sure your social media posts on Facebook, Twitter, YouTube and elsewhere are not boring or redundant requests to visit your site. Instead make your posts interesting and provocative so that users will take action. For example instead of posting "visit our site for our new shoe sale information" you can post "Need a reason to upgrade your wardrobe? We have a sale on these shoes!" Feedback and comments - encourage your social media readers to make comments or provide feedback on their experience with your business. Even if the comments are negative this can provide an opportunity for you to respond in a professional way and get readers even more interested in your business. Seldon Marketing can help New York City companies and beyond to leverage social media marketing to augment your online business opportunities. For more information please call us directly or click the link below and we will contact you. Thank you. There is little doubt that social media has become an extremely effective marketing tool, and is predicted to continue to grow in importance. What is the big deal about social media marketing? It is a technique of inbound marketing that puts your online business in front of prospects and customers that leverages not only your marketing but solicits referrals and endorsements. Location, location, location – your online presence should exist where your target market is most likely to visit. For example if you have a beauty supply business, you should participate in forums and pages that focus on health and beauty, women’s issues and other pages. Best social media sites – Facebook and Twitter should always be top of mind when establishing a social media presence. However you should not ignore Pinterest, LinkedIn, Google Plus and other social media web sites. All can bring you qualified leads and help you to build a social media community. Leverage SEO – make sure you include search engine optimization as part of your social media marketing strategy. By using the right keywords and phrases with links to your business web site you will be able to gain momentum in search results as well as build your social media presence. Be active – social media requires you to take on an active role. Make posts daily to your social media pages to keep visitors coming back and attract new visitors. Respond to any questions or comments professionally – even the negative issues should be handled tactfully to improve your online reputation. Get creative – not only should you have very enticing and interesting content for your social media pages, you should also experiment with various forms of multimedia including images and art, graphic design, info-graphics, and even short videos that can be placed on YouTube or Vine. Seldon Marketing can help you to launch your social media campaigns and build a better online presence. For more information please call us directly or click the button below and we will contact you. Thank you. The New York City marketing community is filled with firms that can provide a number of different services. These NYC firms have different skills and experience levels, so it is important to carefully consider which marketing firm would be best suited to help you in achieving your business objectives. When looking for social media marketing firms there are certain types of skills needed to analyze and recommend social media marketing strategies. Also social media marketing firms should have experience with similar types of businesses so that they can recommend best practices and help you to benchmark against industry peers. What is their methodology? Does the firm have a “cookie cutter” template that they use to implement social media marketing? Does the firm evaluate your business and marketing goals to tailor a program for you? Social media – can the firm demonstrate some approaches that they have used for social media marketing? Are there different options to consider for Facebook, Twitter, YouTube or other sites? Inbound marketing services – does the firm work only with social media marketing, or are there other online marketing services offered? Can the firm provide email campaign and subscription services? 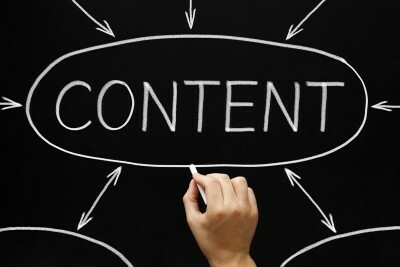 Is web site content management, blog, white paper and article writing available? Synchronization - by coordinating your traditional marketing with online marketing and social media campaigns you can achieve greater results. Your marketing partner should be able to coordinate the various channels for a consistent message and better recognition. The NYC market can be a challenge. 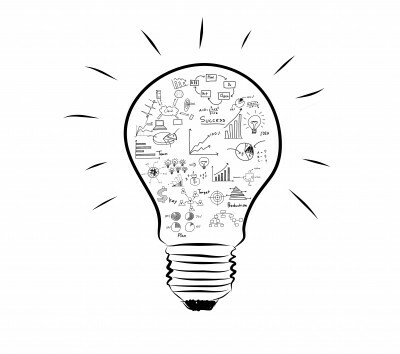 Seldon Marketing can help your business to overcome the obstacles and achieve your business goals. For more information please call us directly or click the button below and we will contact you. Thank you.